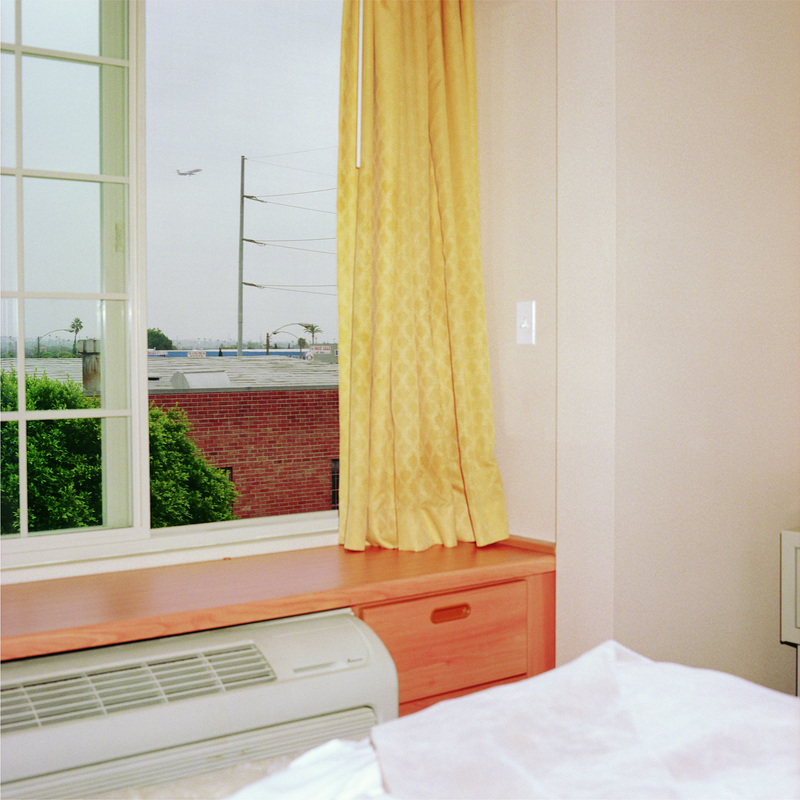 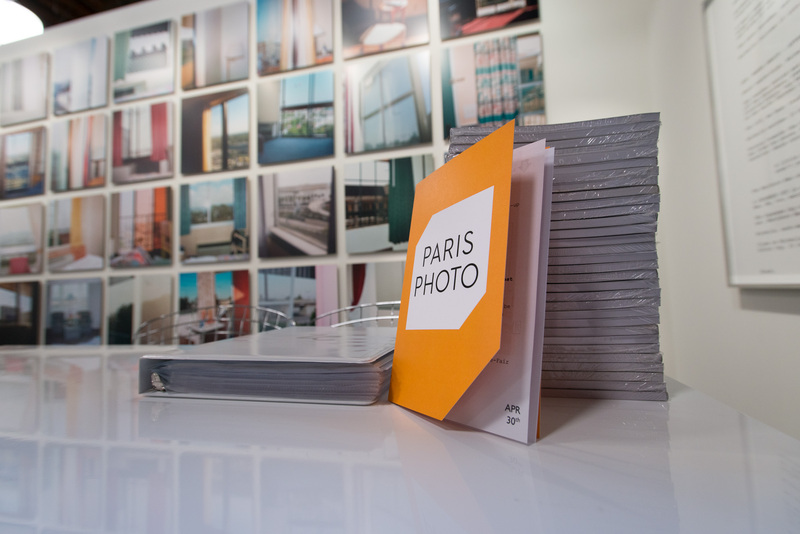 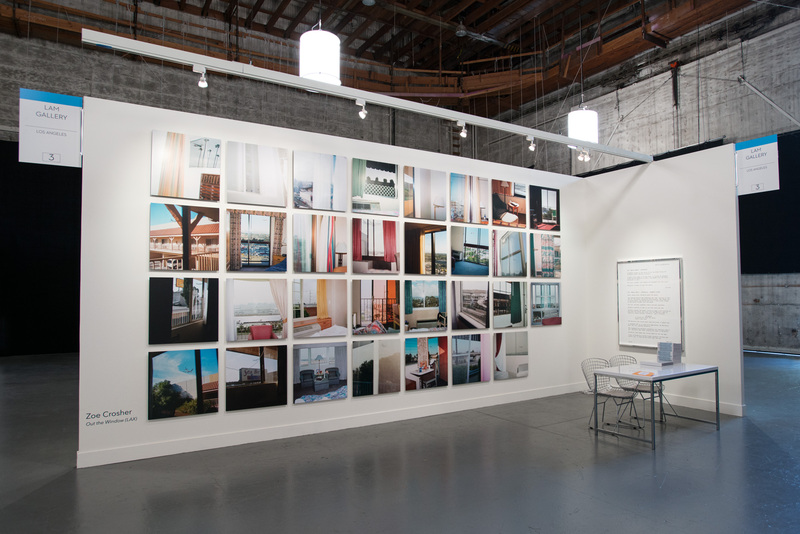 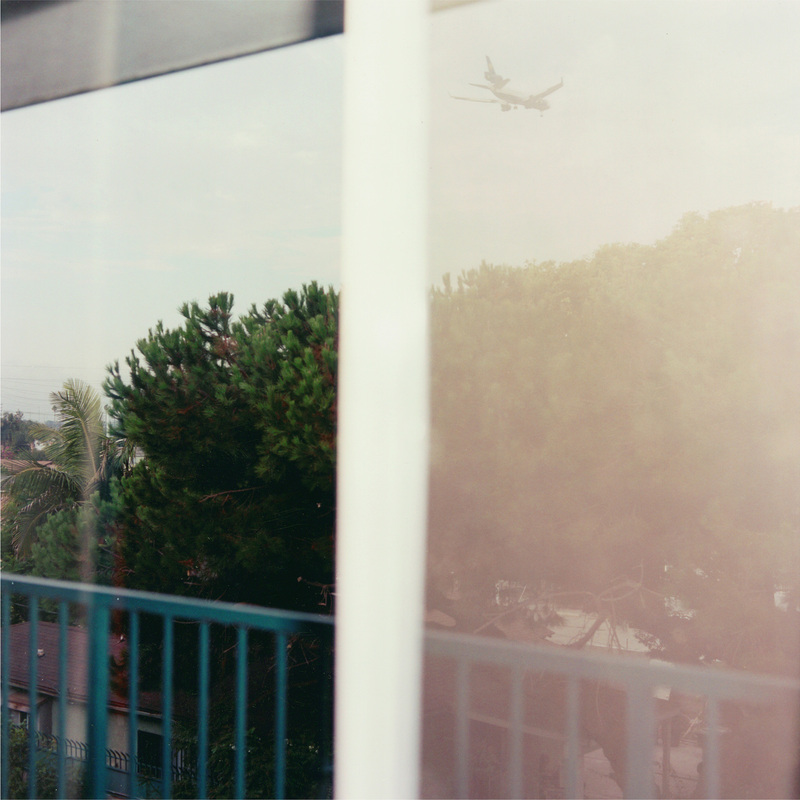 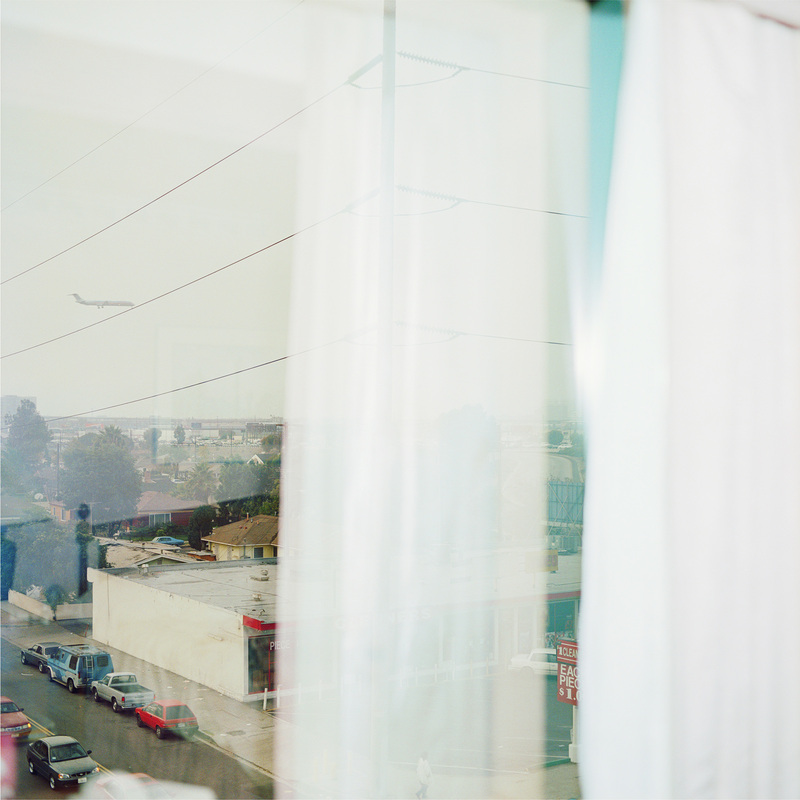 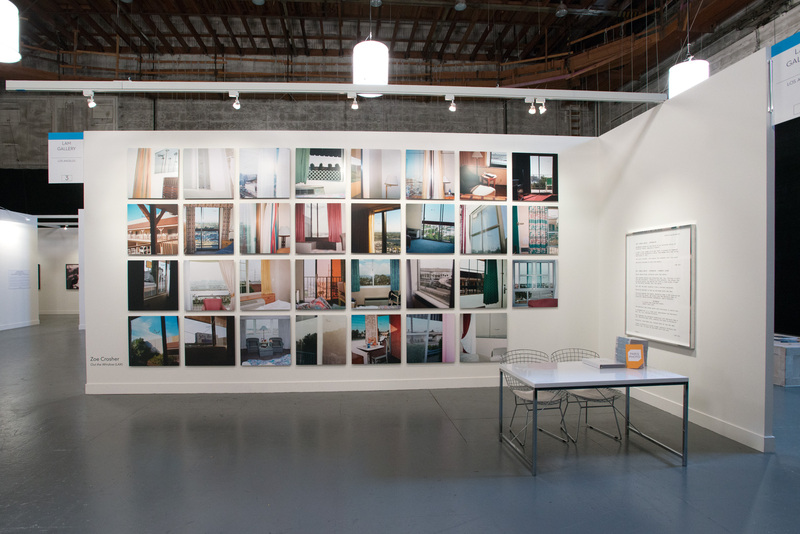 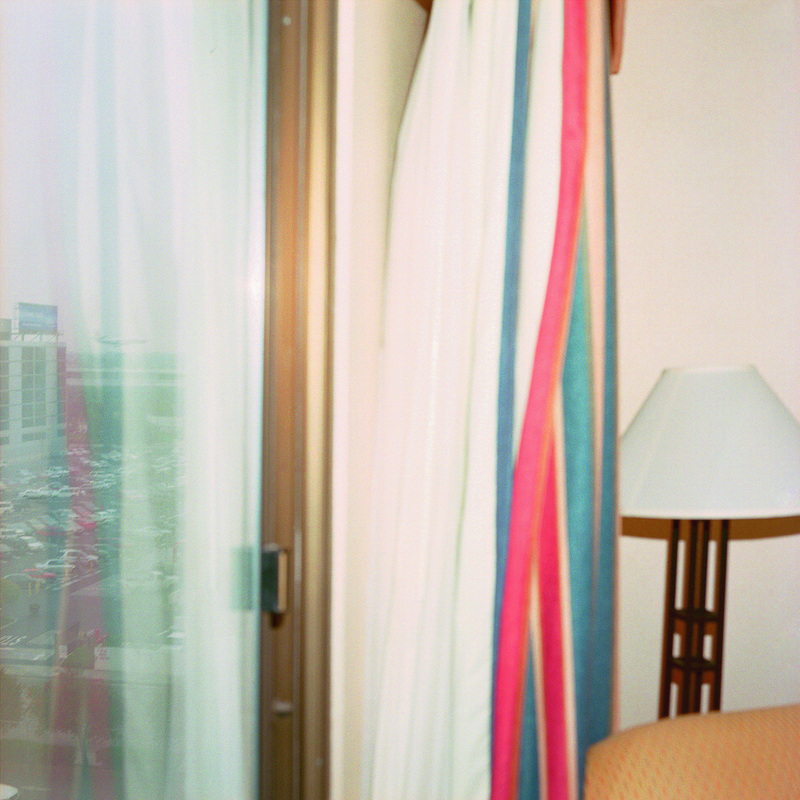 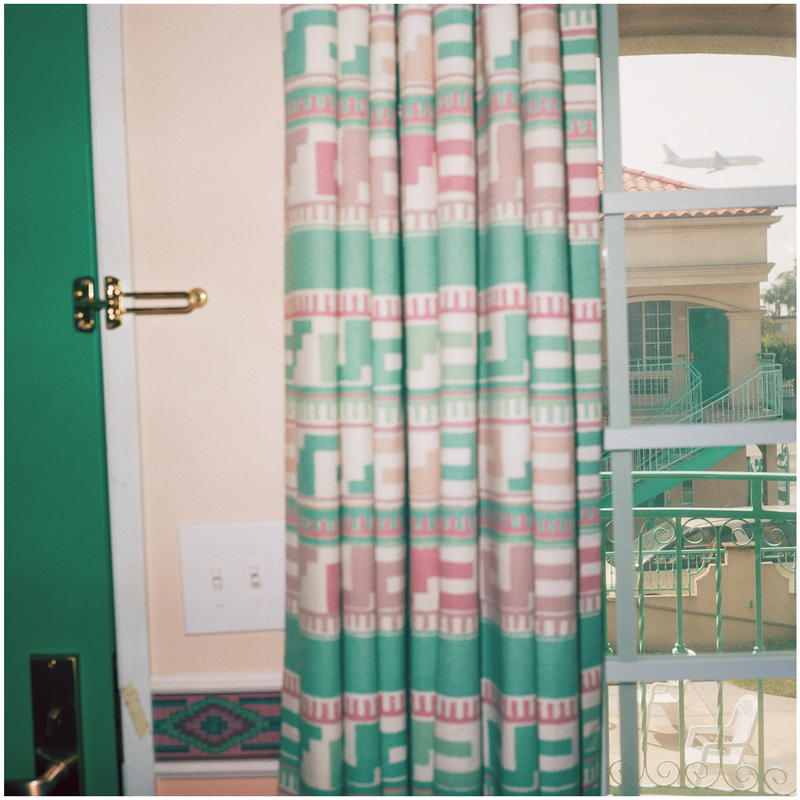 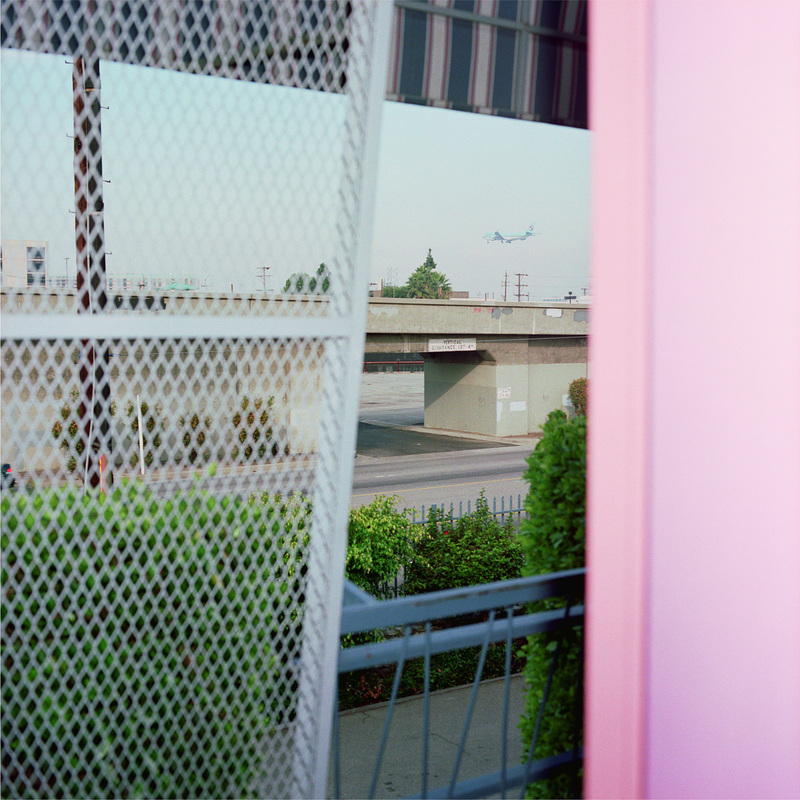 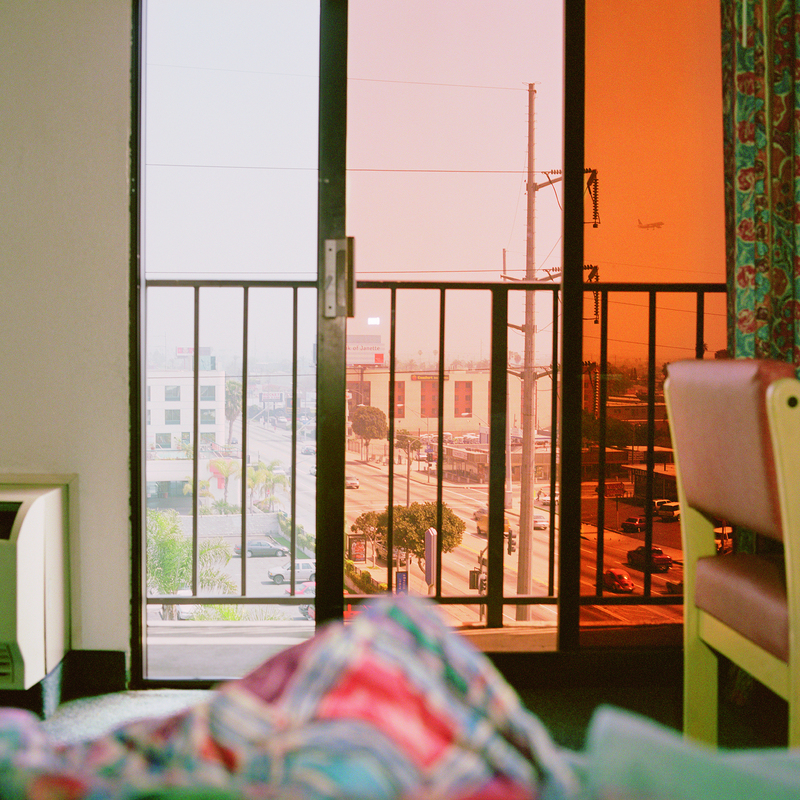 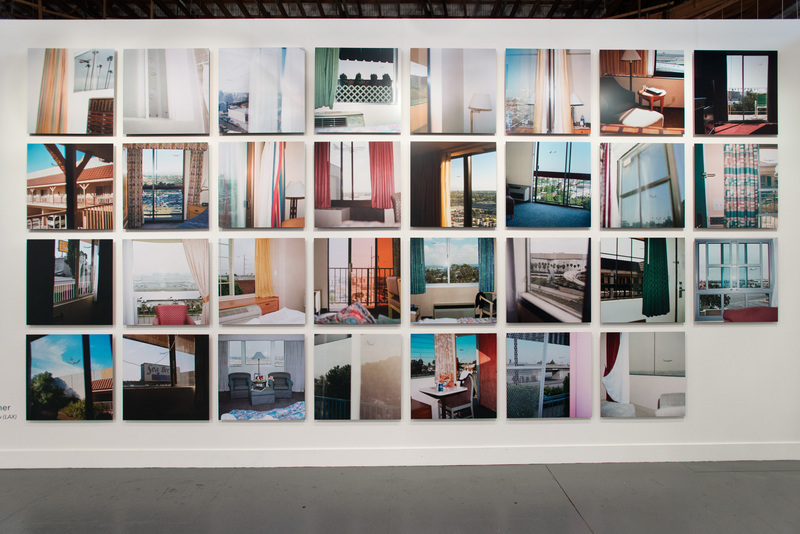 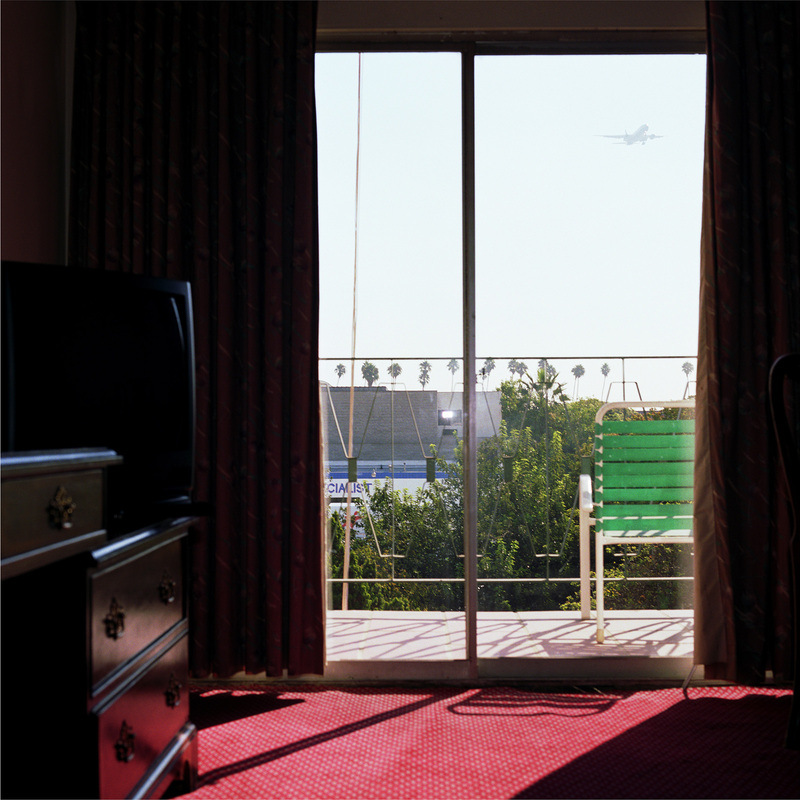 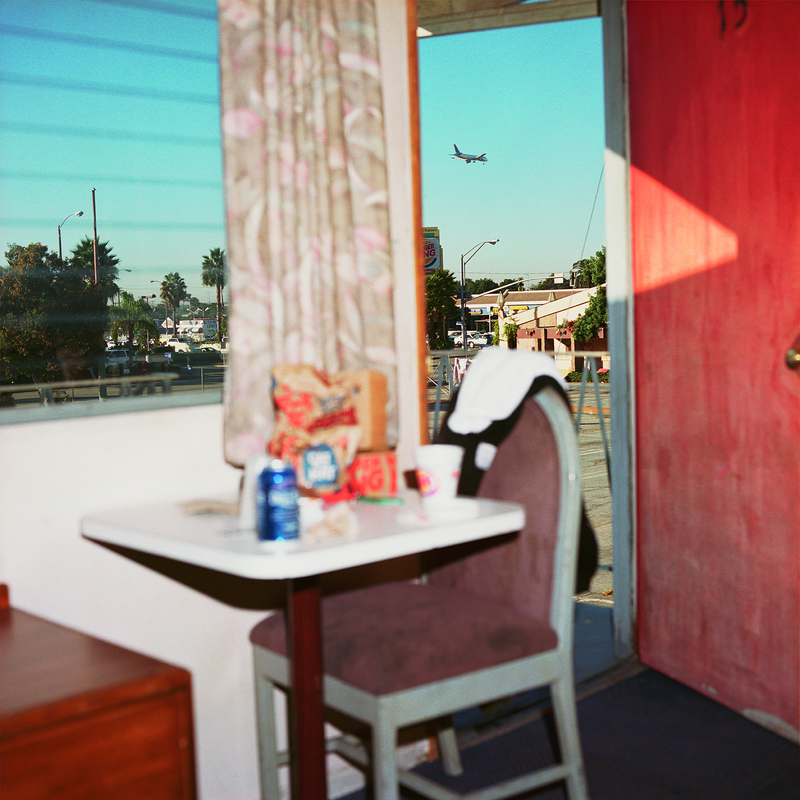 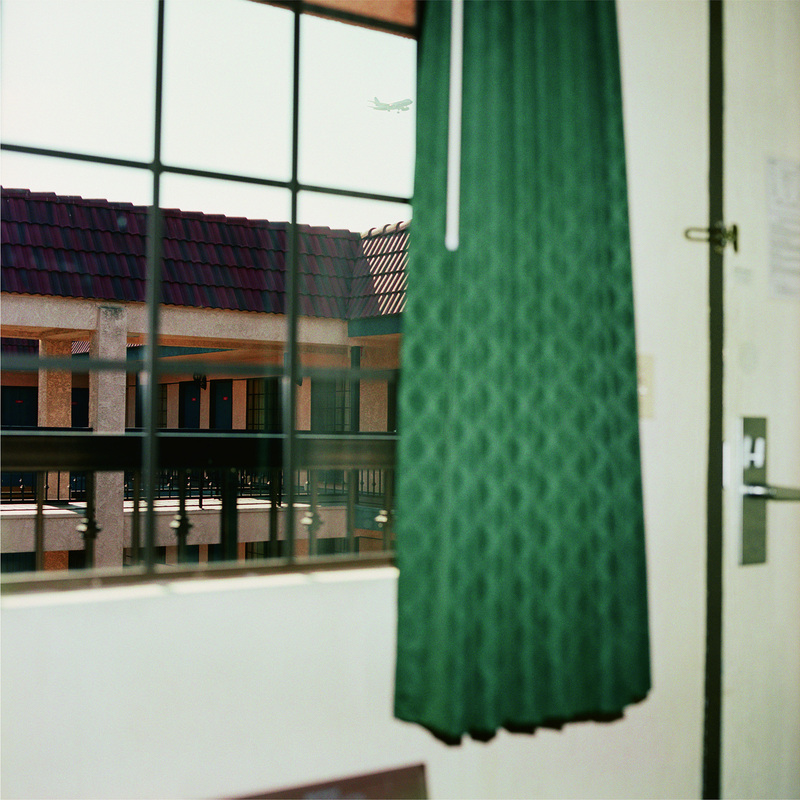 In conjunction with the release of Both Sides of Sunset, Photographing Los Angeles at Paris Photo Los Angeles 2015, published by Metropolis Books, Zoe Crosher will present her iconic project, Out The Window (LAX) with LAM Gallery. 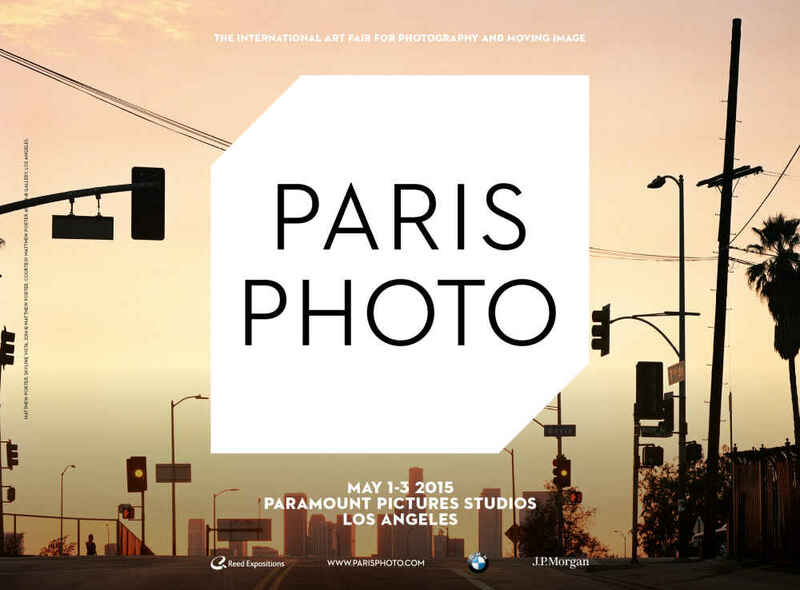 This will be the first time this series of thirty-one images will be shown in their entirety in Los Angeles. 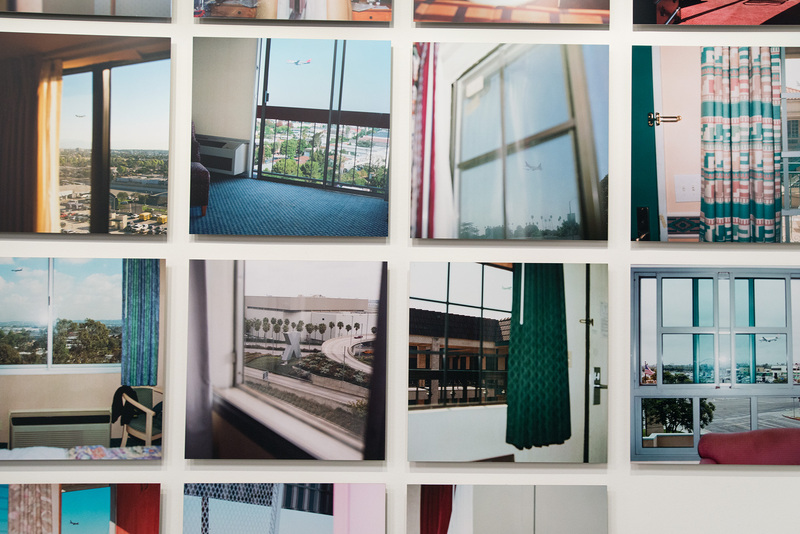 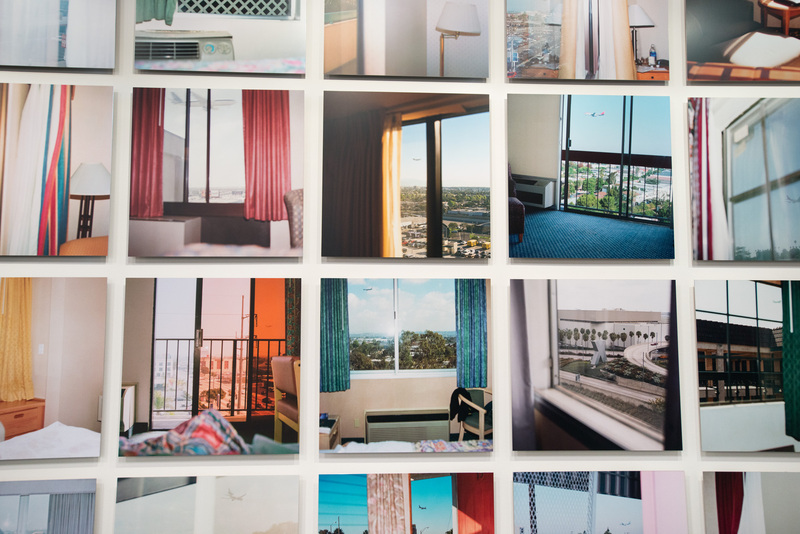 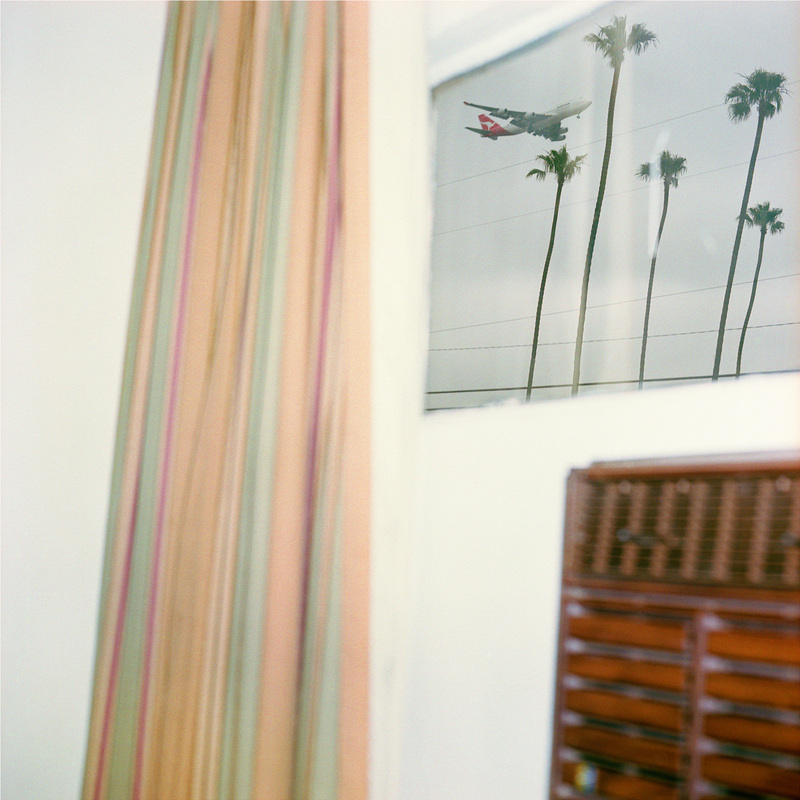 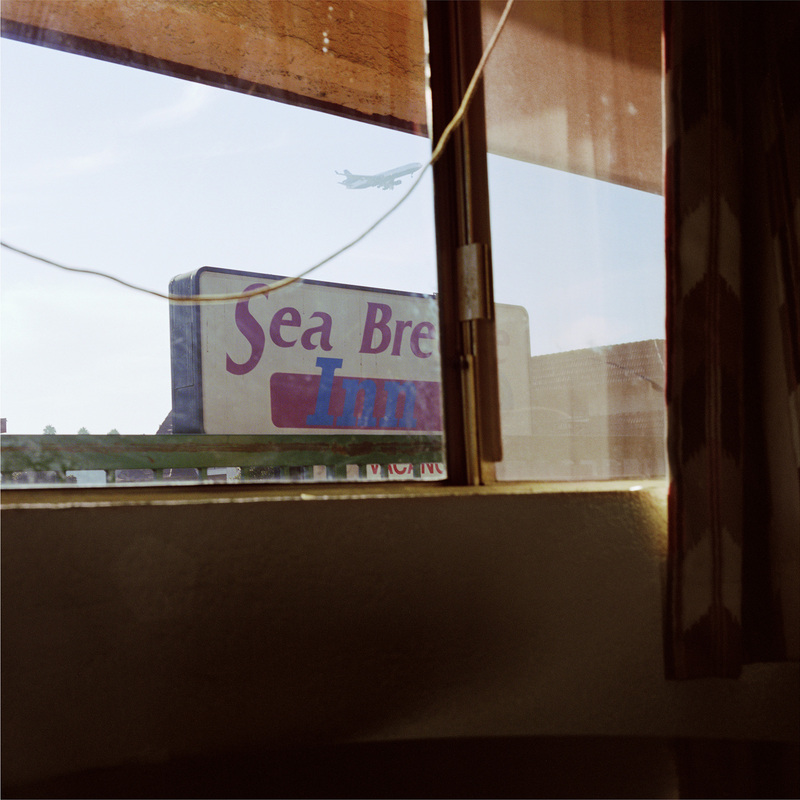 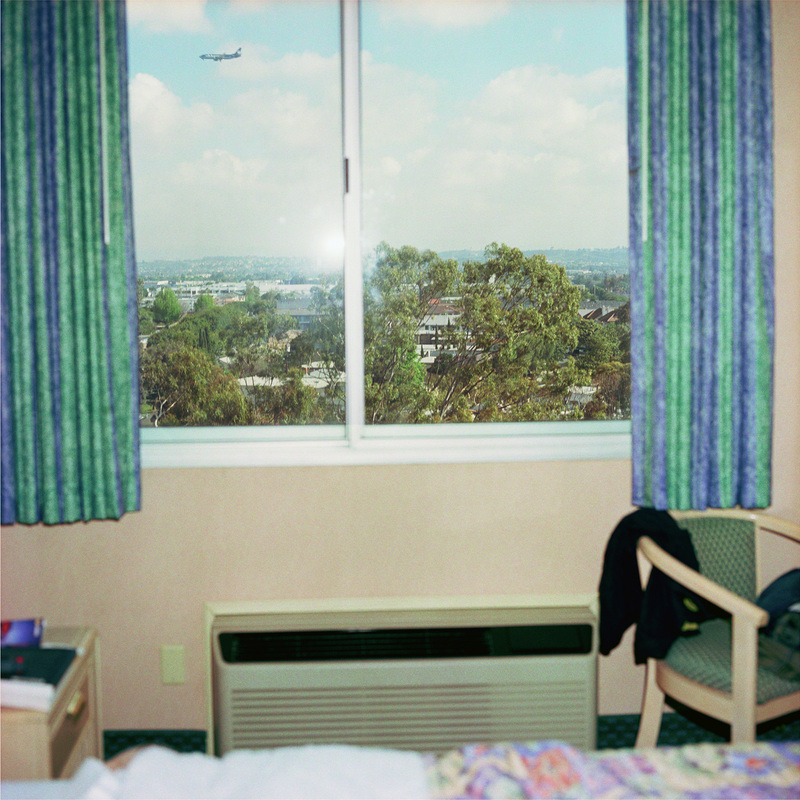 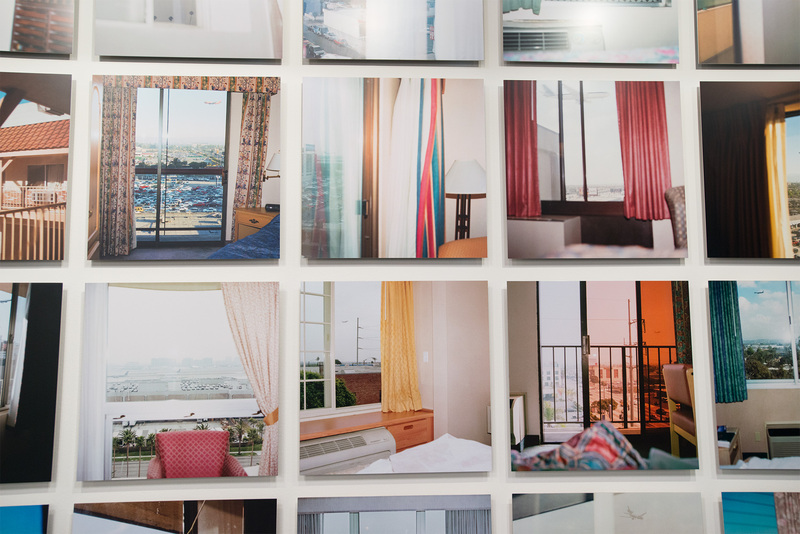 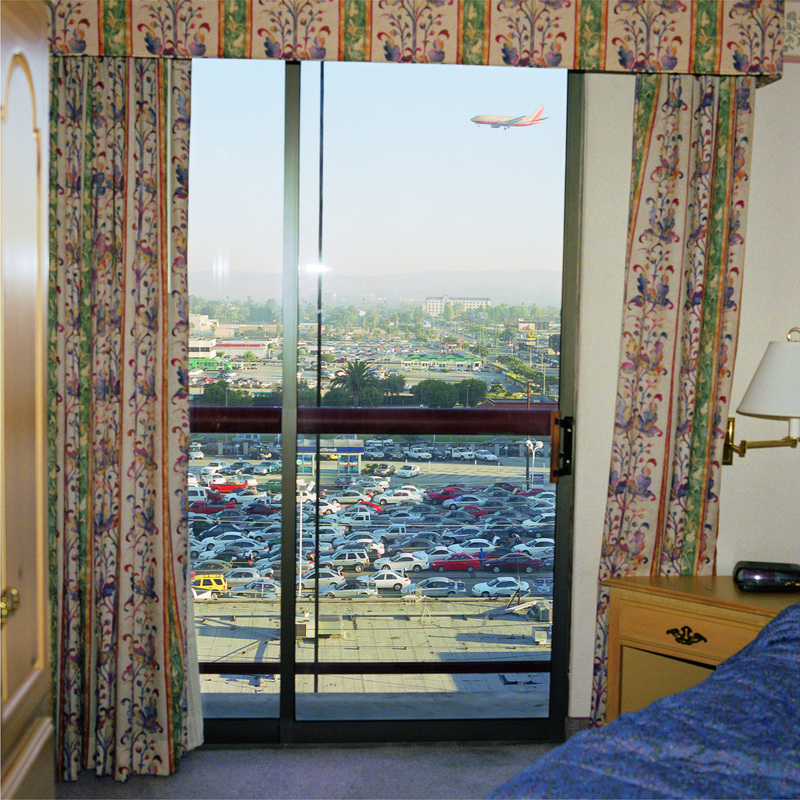 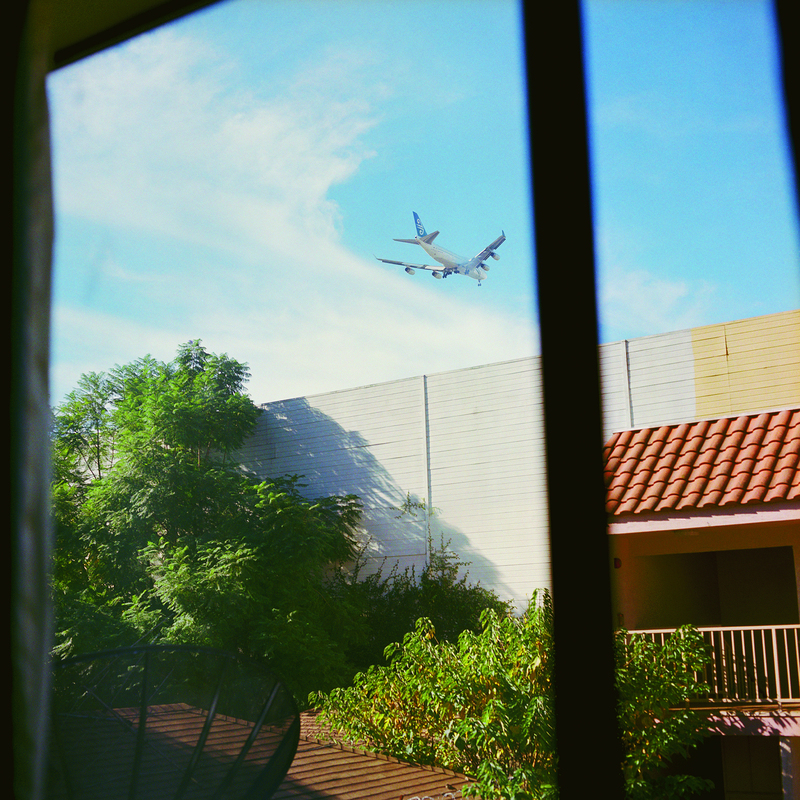 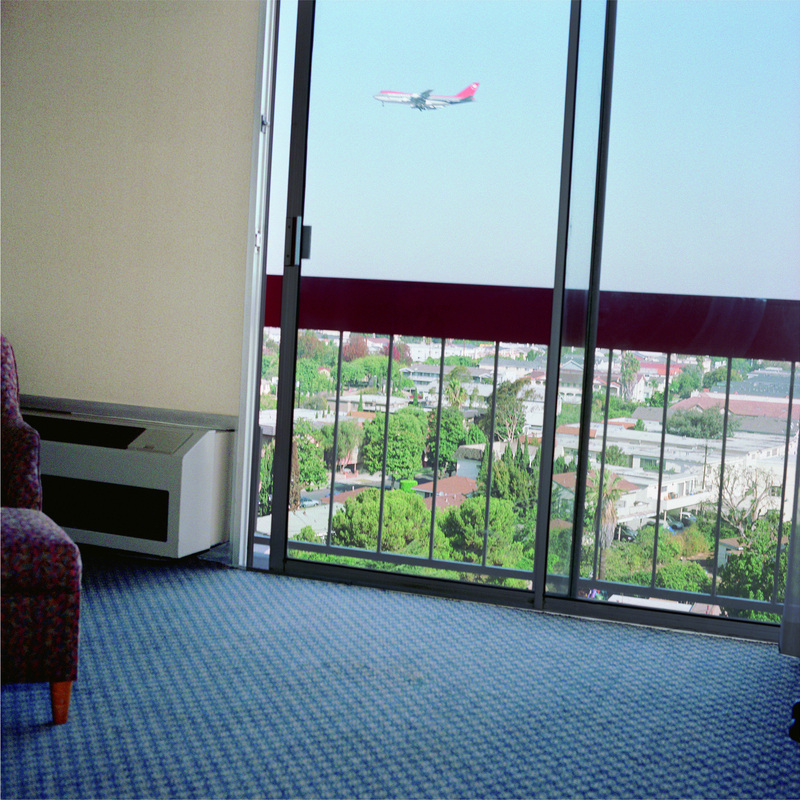 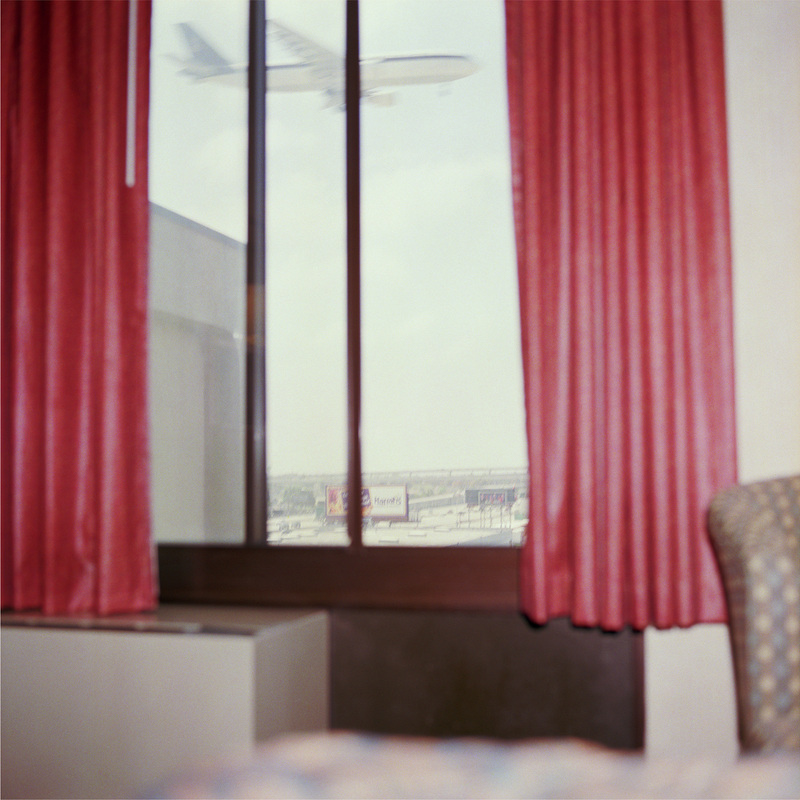 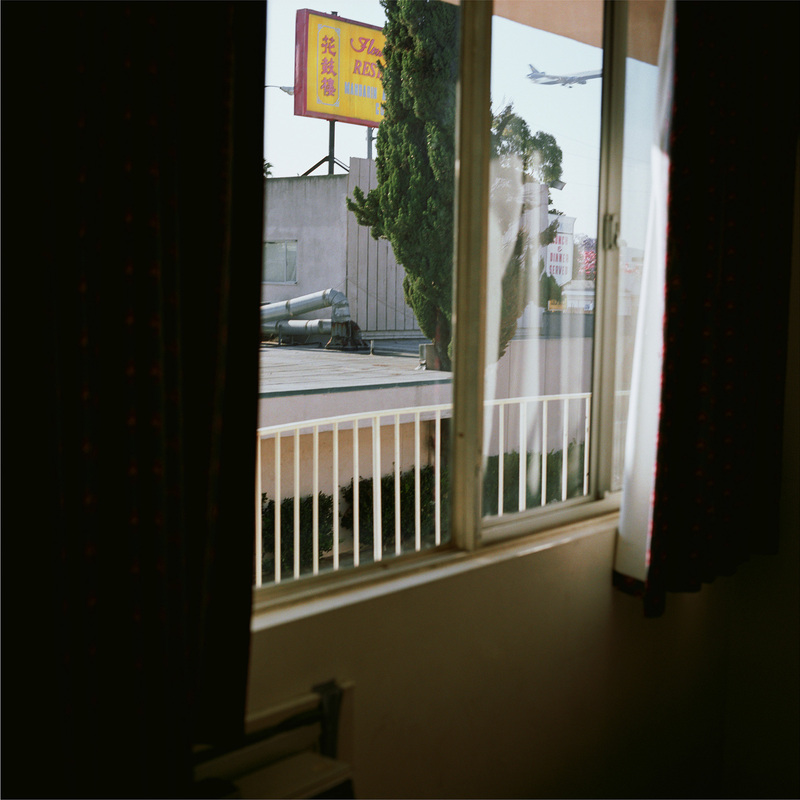 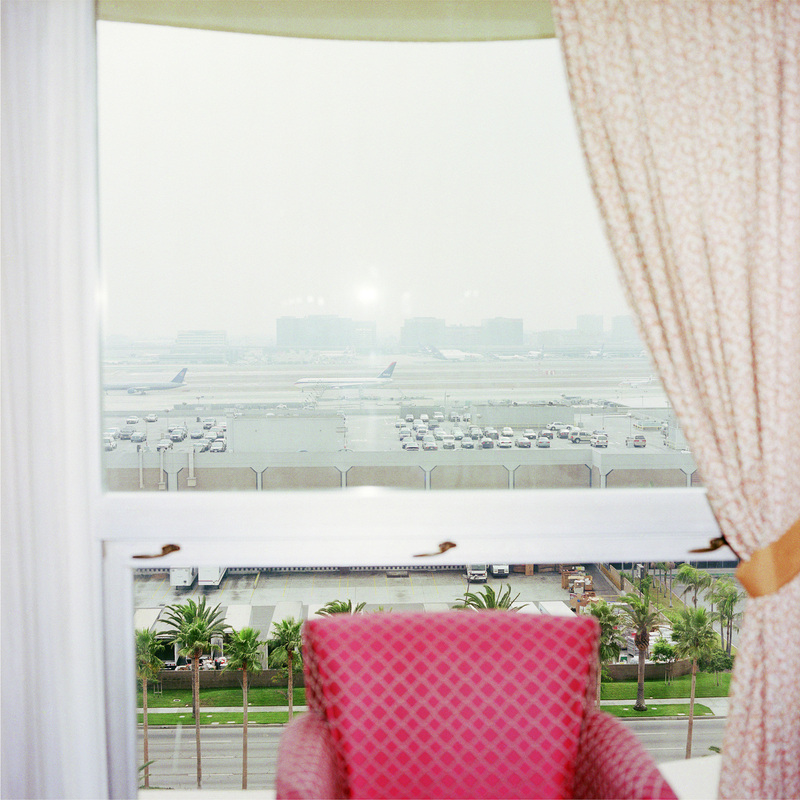 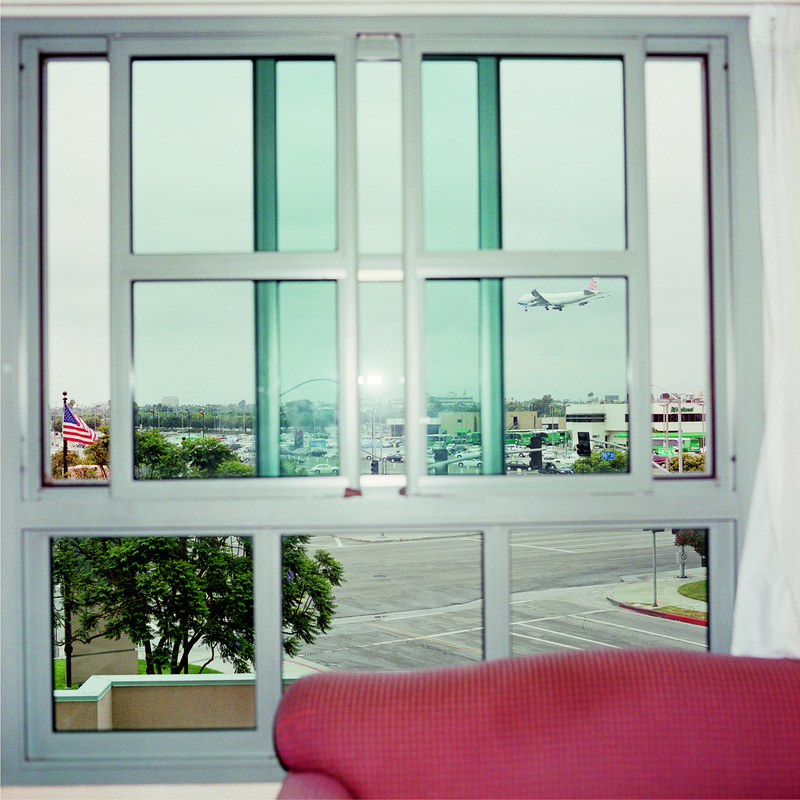 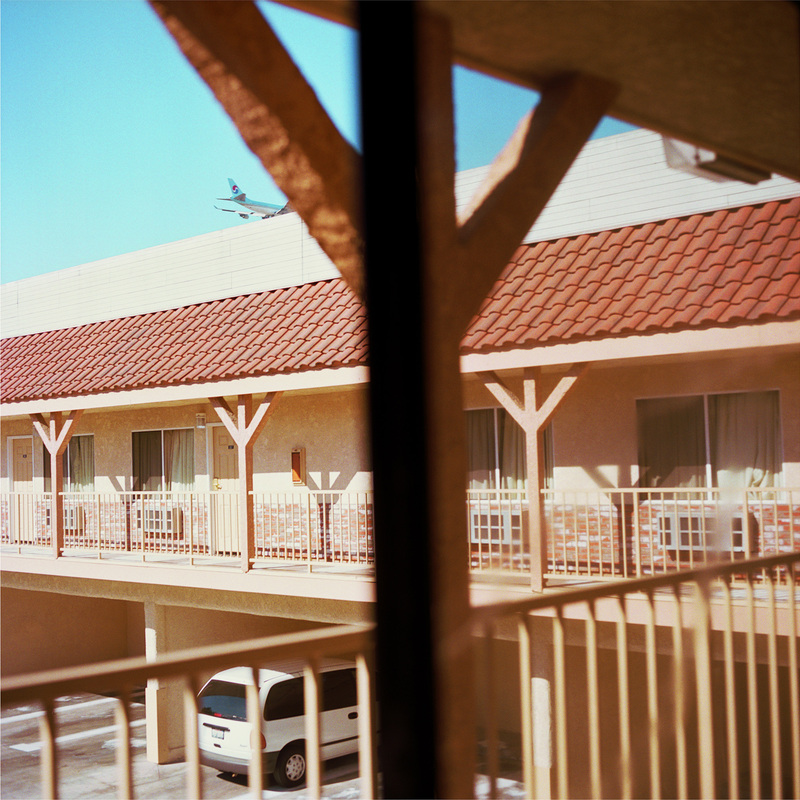 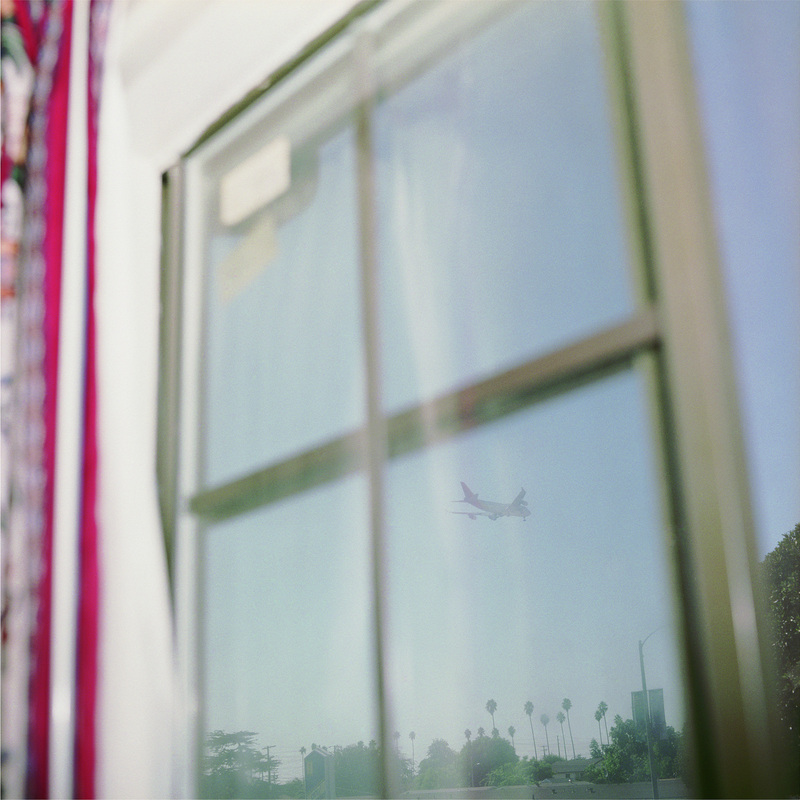 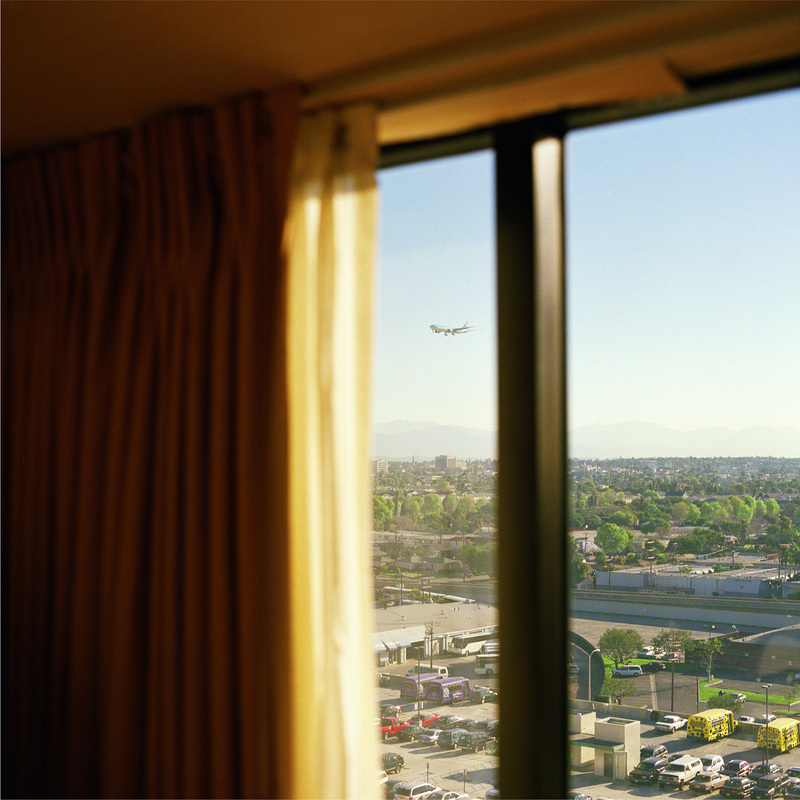 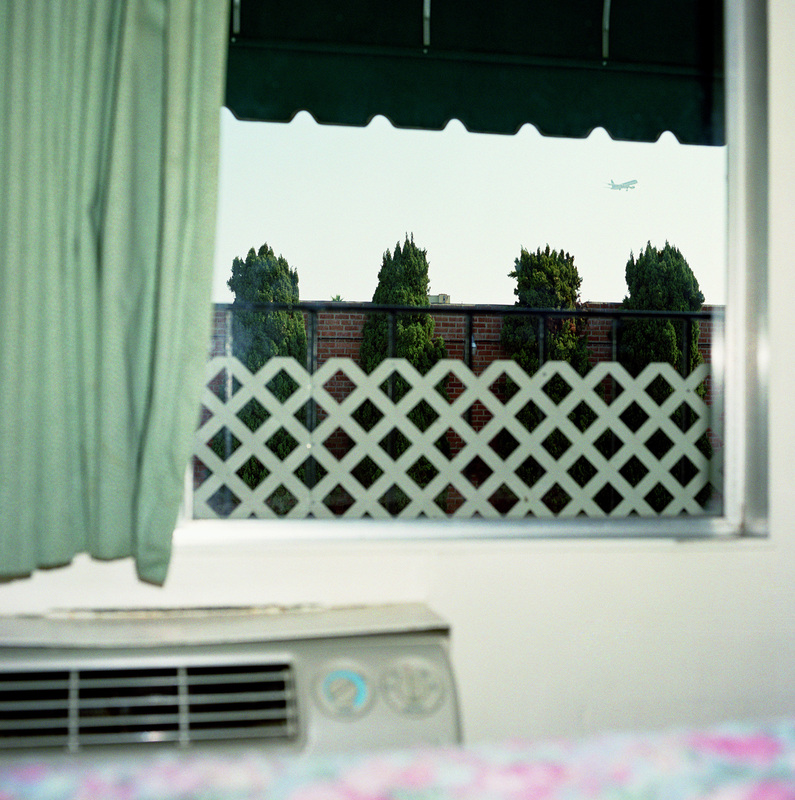 Consisting of thirty-one photographs of planes coming into land, the images are shot through the windows, from inside all the hotels/motels that surround LAX (including hotels next to the runway as well as ones down Century Boulevard, to where the racetrack used to be.) 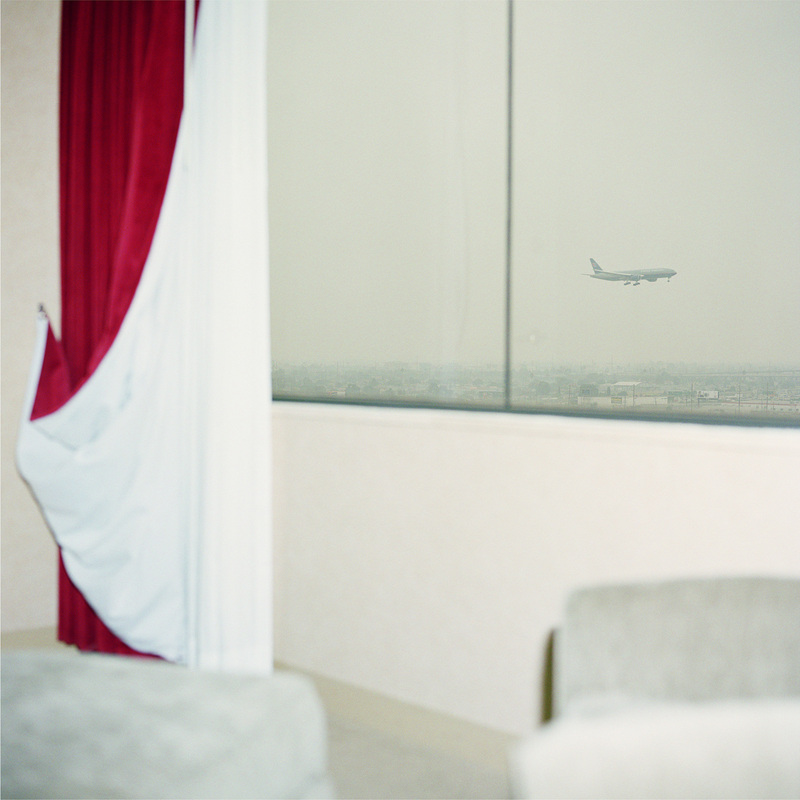 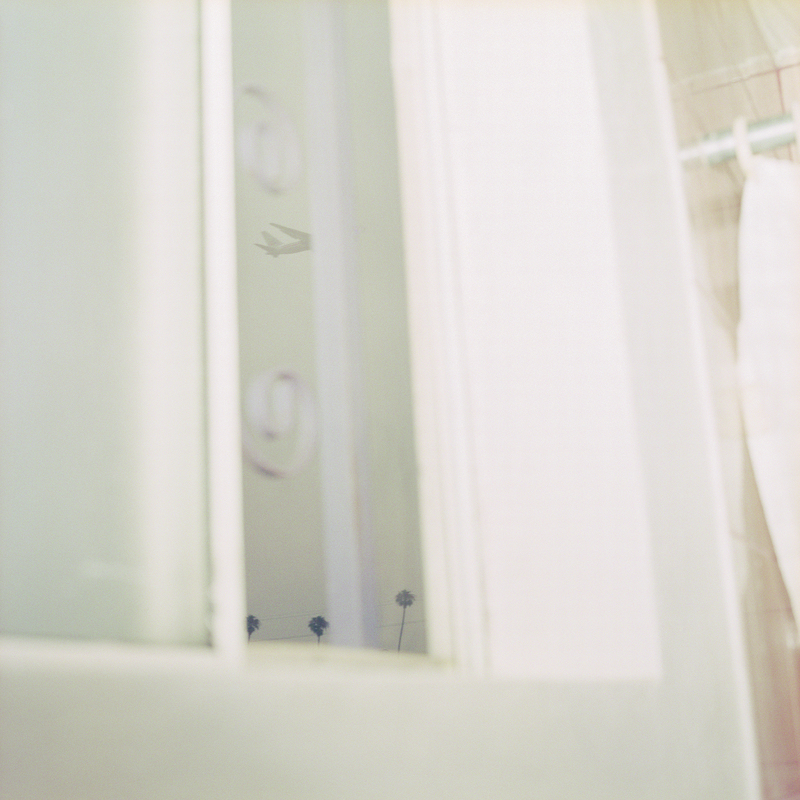 The images are large and window-sized, 27 × 27 inches, mounted and laminated. 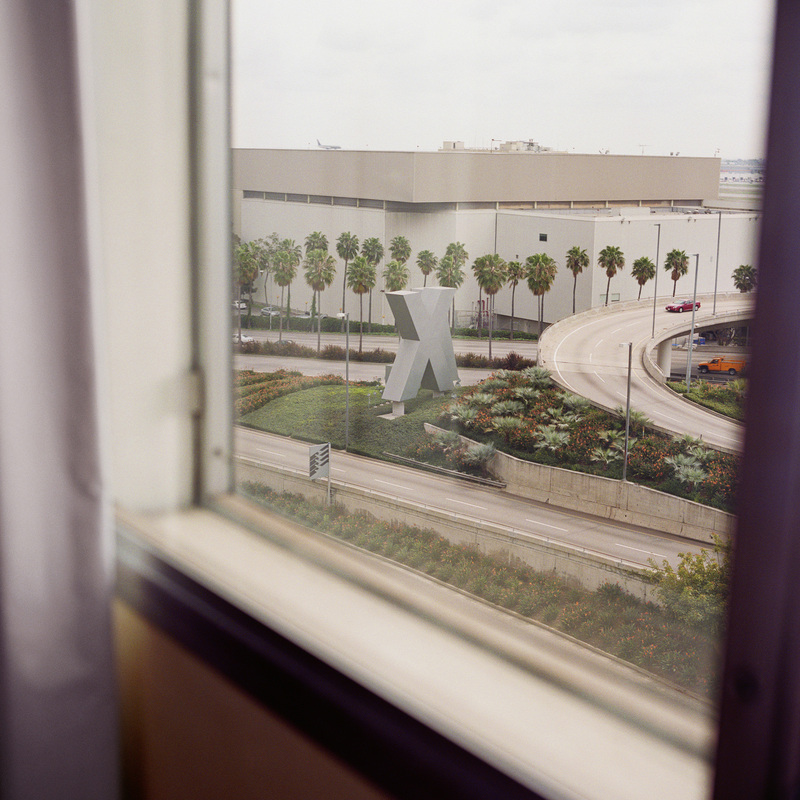 This project investigates LAX (Los Angeles International Airport) and its surrounding infrastructure as a point of non-center, a metaphor for Los Angeles, captured from surrounding satellite positions.